Technology startup Onfido has appointed Emma Jelley as its General Counsel. 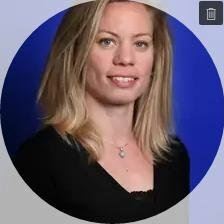 Emma joins from Google where, as Senior Legal Counsel, she led legal affairs for the UK and Ireland, including landmark litigation, regulatory and commercial matters. Earlier in her 15 year legal career, Emma specialised in intellectual property law at City law firm, Lovells. “I was drawn to Onfido’s vision of building the ultimate trust engine to power human interactions worldwide,“ said Emma. “A trusted identity is the most important currency in our world today. Without this basic security nothing is possible: employment, shelter or travel. Onfido is the only company that combines physical, digital and legal identification in a secure and distributed way to provide verified identities globally. I am proud to be a part of Onfido’s team and its vision to bring secure identity to everyone”. In her new role at Onfido, Emma will work closely with the co-founders to guide the company’s expansion into new markets, with focus on legal and compliance issues spanning everything from deals, to data protection and diversity. Onfido’s team now totals over 145 team members across offices in London, San Francisco and Lisbon. Founded in 2012 by three Oxford graduates, the Identity Verification platform has since garnered over $30 million in funding from investors including Salesforce Ventures, Idinvest Partners and CrunchFund. Providing next generation Know Your Customer (KYC) and background checks, Onfido’s Identity Verification solution is powered by proprietary Machine Learning technology. The company services customers across the Sharing Economy and Financial Services markets, including Uber, Deliveroo, JustGiving and Pockit Bank. Onfido delivers next-generation identity verification, helping businesses verify that their customers are who they claim to be in a digital world. In particular, Onfido specialises in streamlining the KYC & AML process for financial clients. Through intelligent automation and a machine-learning powered Document Check, Onfido’s solution helps businesses onboard more customers, increasing revenue and reducing manual overheads. Onfido works with 1,000 clients globally including LendInvest, GoCardless, Nutmeg and Pockit Bank.